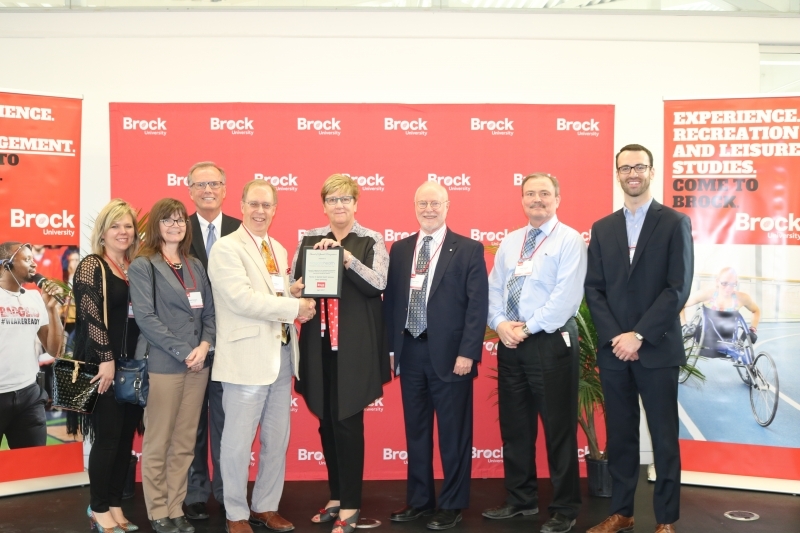 Brock University Faculty of Applied Health Sciences is putting Niagara Health in the spotlight, honouring the University’s longstanding partner for its outstanding contributions, exceptional leadership and dedication to experiential learning and research. Niagara Health was recognized during the Faculty’s annual Community Partners Reception, held at the Welland International Flatwater Centre on Monday, April 10. “For more than two decades, Niagara Health has provided us with the ability to place our students in hospital and care settings, and to work with the community on research and experiential educational partnerships,” said Faculty of Applied Health Sciences Dean Peter Tiidus. In the past year, Niagara Health supported 656 student placements from Brock University from a wide range of programs, said Niagara Health President Suzanne Johnston, who accepted the award on behalf of the organization. Access to those critical opportunities would not be possible without the time, commitment and mentorship from dedicated Niagara Health individuals and teams that assist students in their quest to excel, Tiidus said. Experiential Learning provides Brock students opportunities to apply their knowledge through internships, field work, clinical placements and community or classroom collaborations. Seventy-five per cent of the more than 3,500 undergraduate students in the Faculty of Applied Health Sciences participate in community service work prior to graduating.